Check out the Agenda to see this year's topics and presenters. To attend the Region 1 Pretreatment Conference, please complete the attendee registration form. Multiple registrants can use the same form if they are from the same municipality. Once the form has been completed, payments can be made through PayPal (below) or by sending a check in the mail. If paying through PayPal, please either e-mail a copy of the registration form to NERPCA@gmail.com or mail a copy to the address below. Registration fees for attendees of the Conference will be $175 and must be postmarked by October 12, 2018. Registration fees are due upon registration and are non-refundable (sorry, but we have to prepay for hotel services and other purchases). Student/retiree, as well as Day 1 or Day 2 only rates are offered. If paying by paypal, credit card accepted only below. Please fill out the following registration form and either e-mail a copy to NERPCA@gmail.com or mail a copy to address above. Businesses and Organizations can choose to support the NERPCA in one of two ways. Become a sponsor and be included on the NERPCA website as well as any handouts for this year's NERPCA Conference. Or, an exhibitor and attend the Conference with booth space, website and handout inclusion. If paying through PayPal (below), please fill out the exhibitor registration form and either e-mail a copy to NERPCA@gmail.com or mail a copy to address above. Join us for some great networking events. Contact UMass Lowell Inn & Conference Center at (978) 934-6920 and refer to the NERPCA Conference Group.Rooms must be booked by September 23, 2018 to receive the conference rate. Hotel space is always limited, so make reservations as early as possible. Rate is $119 per room per night. 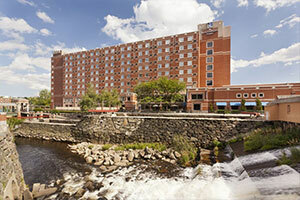 The UMass Lowell Inn & Conference center is Lowell's only full service hotel featuring lodging, dining, and meeting & event space. Lodging at the Inn & Conference Center features 31 fully renovated, inn-style guestrooms, some with private patios overlooking the canals, as well as over 120 seasonal hotel style rooms offering two double beds or a single king-size bed. All of our rooms feature in-suite amenities like cable TV, complimentary high speed internet, hair dryers, irons and ironing boards, as well as the use of our fitness center. 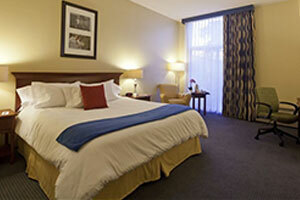 The hotel offers free parking to all overnight and conference guests.